Sony Bravia is the latest eco-friendly HD television which has great power saving features with best performance and adopting the Go Green environment rules. 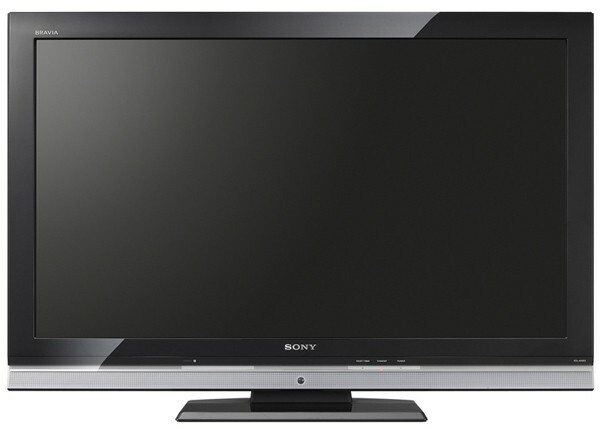 This new Sony Bravia KDL-40 is embedded with hot cathode fluorescent lamp technology or HCFL technology. It will save up to 40 percent of energy consumption by super graphics picture tubes. One of the best features that will fall you in love with Sony Bravia KDL-40 VE5 HTDV is its 0 watt super energy saving standby time. It means when you are not using your Sony Bravia eco-friendly HD television, it will automatically set to super energy saving mode. It can be done by you through manually turning off the standby switch. The image quality of Sony KDL-40VE5 is amazing and coming at 1080p resolution when set at the maximum level. Along with high quality picture, this HDTV has motion flow technology and using 120 Hz processing to make the pictures more sharp and crisp. What you will really like about Sony Bravia KDL-40 VE5 HD TV is its zero motion blurs which you will enjoy during the fast scenes of movies and animations. Sony Bravia HTDV is best eco-friendly gadget which will save your extra consumption of energy due to ordinary television sets in homes. You will probably need a television which should feature good quality of graphics along with low energy consumption. Sony changed earlier the year its name from Sony Wega to Sony Bravia and its marketing promotion campaigns were started as the first largest television ever made for both men and women. Its market price is $3,499 with 40 inches LCD display. In comparison with its competing plasmas, Sony Bravia has bit costly tags, but if you love the Sony brands or its 40 inches LCD display or do you think the video quality of Sony Bravia is just excellent, this is worth of the price. A silver pedestal comes with TV, although its décor would mount the 40 by 27 by 5 inches. Although Sony Bravia remote control has no individual input buttons, but this is comfortable to use and Wega Gate interface has been used instead of it. This HDTV is best eco-friendly product from Sony and we are expecting some new cool green gadgets from Sony this year.